Make a $10 bottle of wine taste like a $20 bottle with Clearly Susan's wine decanter, crystal decanter. 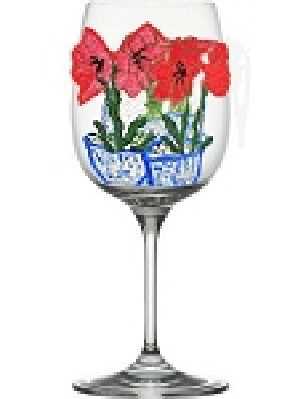 Why not give a gift of hand painted wine glasses for the wine connoisseur who knows all about how to select good wine. We want to give that perfect wine glass, and Clearly Susan's custom wine glasses personalized come in wonderful designs that will surely delight their taste buds. We take pride in our original designs created just for you. 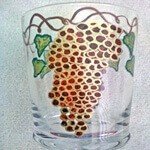 Some of our customers know exactly what kind of painted wine glasses they want and we create the design to their specifications. Others want us to come up with something original and one of a kind design. 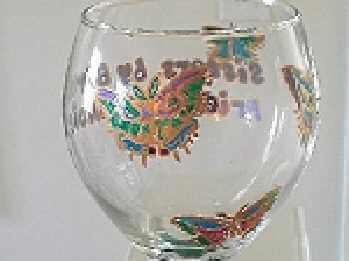 That is why we involve the customer in the whole process of creating painted glasses that are personalized. We have so many custom wine glasses to choose from, but we would love to create one especially for you. Browse Now through our collection, but let us suggest some of our favorites. 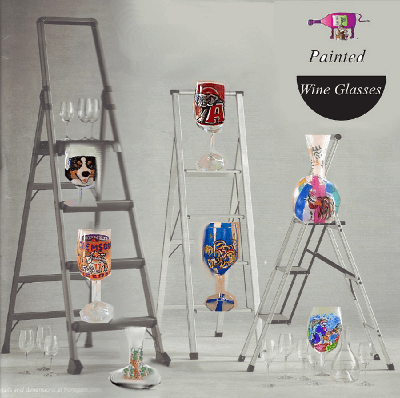 Choosing hand painted wine glasses made of the best crystal also known as stemware reflects both the best of the wine and your own personal taste. The two most common wine shapes are the "tulip" and the "balloon".